The Indigenous Researchers Initiative (IRI) provides research services to universities, government, Industries and business enterprises in the Northern Territory. 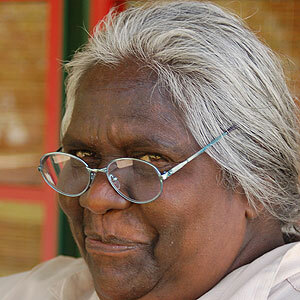 We are based in a number of remote northern Australian communities. 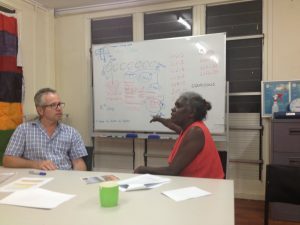 The idea for this initiative grew out of the Yolŋu Aboriginal Consultants Initiative (YACI) which ran from 2006-2013, and supported collaborative work between Yolŋu and CDU researchers working on university projects concerned with the health, education and well-being of Indigenous people. 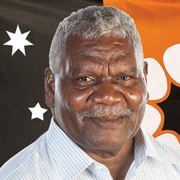 Many of the researchers involved in the Indigenous Research Initiative are small business owners, or employed through Indigenous research organisations. The website enables government, non-government and other funding organisations to get in touch with these researchers and discuss potential new projects. We welcome Indigenous researchers who are interested in developing research services as a business opportunity, and invite you to contact to us to see how we might work together. If you would like to list your profile on this site, please contact us via indigenousresearchinitiative@gmail.com or using the form on the contact page of this website. 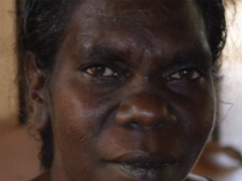 The Northern Institute (CDU) is a supporter of the Indigenous Researchers Initiative. We have many years experience working in collaboration with Indigenous researchers and knowledge authorities. We have created this website to support experienced and emerging Indigenous researchers seeking to develop research as a business opportunity. Indigenous researchers and research organisations are invited to use this facility to showcase their research services, and develop an online record of their previous research work. The intellectual property rights for all images and materials on this site reside with those who created them, not with CDU.